VR has made a significant leap in recent years, moving from heavy prototypes to mobile and affordable headsets. The number of sold devices is increasing and content is becoming more immersive and realistic. VR finds new ways of practical and commercial application as well. For example, virtual reality in real estate that agencies and realtors may leverage to attract customers and reduce costs for visiting properties. 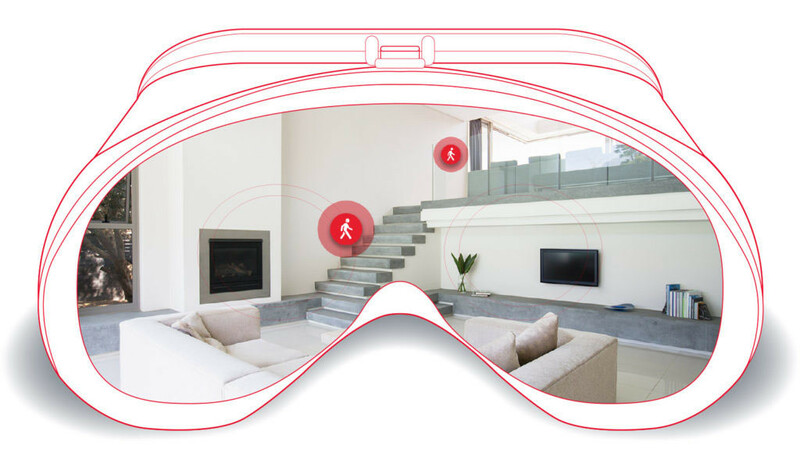 From 2015 on VR has emerged as a new marketing tool in many industries, including real estate. 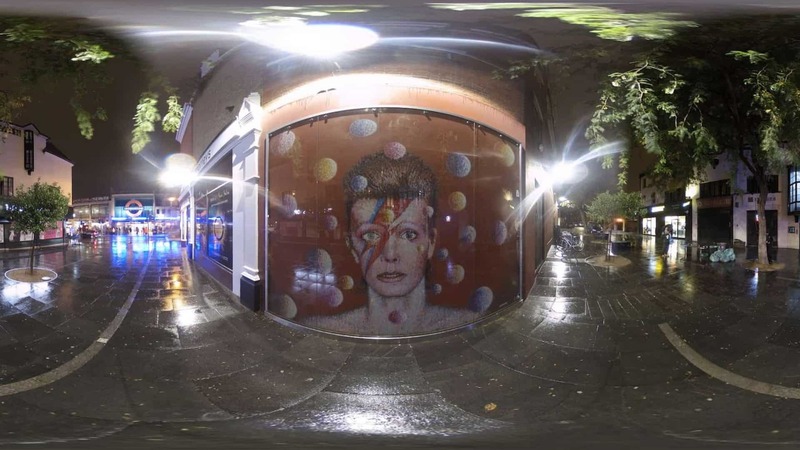 Agencies begun to show multi-million dollar apartments and houses located in Los Angeles, New York City and Hamptons to potential buyers, via the Samsung Gear VR headset. Since then the number of VR real estate projects has been mounting. Also, VR itself became more versatile and dynamic, and experts predict a steady rise of VR in real estate. Total revenue estimation of VR/AR software in this industry is $2,6 billion by 2025. Though big challenges are still ahead, including production of high-quality content, reducing time to create it and headset prices. Buying property for personal needs or business requires a lot of time and patience. It gets even tougher when the property and the customer are geographically distant. Virtual reality has the potential to save time and money for real estate preview, by visiting realty remotely. Any modern VR headset is capable of demonstrating such real estate virtual tours. 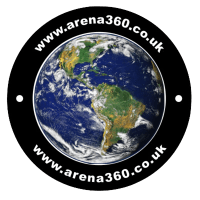 That could be guided tours in 360-video format or interactive tours with free navigation throughout sites. VR can also assist the sales of property under construction. Marketers and real estate agents always struggle in advertising such housings because of lack of actual objects to see. 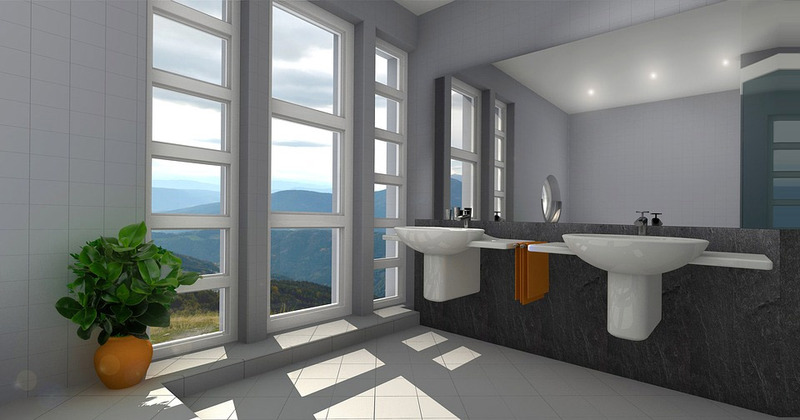 And architectural 3D visualization allows to see the future look of exterior or even interior designs. Pale walls, the absence of furniture, no decorations, etc. can greatly reduce the chances to sell the apartments. Beginning far back from 1985, agencies started to collaborate with interior designers to show enhance properties. It is called staging. They saw that staged houses required 80% less time to sell. This method can be implemented into virtual showcases too. Moreover, virtual staging costs less than the real one. In addition, staging of the property, offers an extra option beneficial both to agent or homeowners. Besides helping to create a nice impression, virtual interior design can be a part of v-commerce. Any element of decor within three-dimensional tours can be set with a purchase option. Virtual Reality technology is coming to gaming, movie theaters, shopping, education, and it also presents opportunities for retailers to attract customers. With big leap into buying things online people seek detailed product descriptions, video reviews, colorful images when making purchases. Rich and engaging content is what makes a crucial difference between winning and losing. So what news are there on the front of Virtual Reality in retail? Overall, the industry of virtual reality is in the initial stage so far, with big players like Oculus, Samsung and HTC struggling to fire the customer interest up. On the other hand, VR and AR are trending like never before with thousands of headsets being sold, and the term V-commerce has been already coined for future endeavors. Companies like North face, Alibaba, Lowe’s use VR to boost their brands. The final goal is to create virtual stores where a customer could choose and buy products. Immediacy is why VR is better than traditional videos and photographs, you really get the feel of motion. VR in retail is predicted to reduce marketing costs, reduce product returns and offer efficient analytics and data. 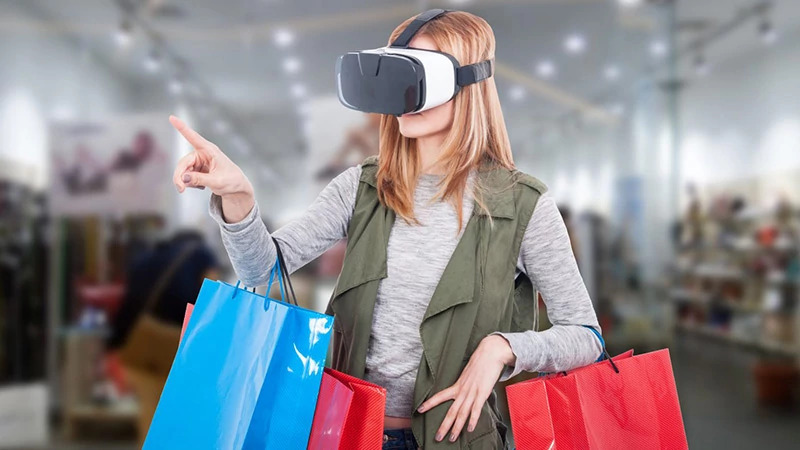 Though, opinions are divided – some are enthusiastic and seeing VR as the future of retail, others think of it just as a trend that will pass away.